Filed to: fashion?Filed to: fashion? You've all been waiting to sport your favorite fictional feline on your eyes, right? 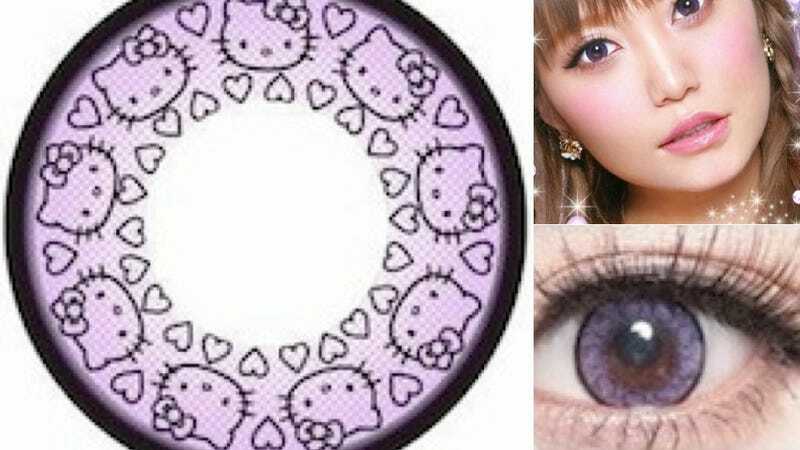 And no, these lavender Hello Kitty non-corrective contact lenses are not from Capitol Couture, but at $100 for a pair, they most definitely could be. Want to Dress Like You Live in Panem? Capitol Couture Is Here!